A Montessori class and playgroup for toddlers is held every weekday in the Community Centre. The term coincides with that of the National School. Naturally numbers are limited so please book in advance. 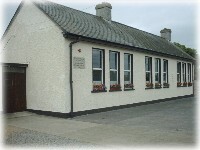 Duration: Term coincides with St. Brendan's National School.